I'm back from the desktop summit, back from Berlin. It was an intense event, lots of great people, lots of great content. So I arrived at home tired, but inspired. Read on for my personal conclusion. The conference was excellent. All the presentations I saw were of high quality. It also turned out to be exactly the right thing to put everything into one program, independent of affiliation of speakers or targeted community. I enjoyed the opportunity to learn more about some projects I'm usually not following that much. It was also great to have presentations done jointly by people from different communities, like the one from Lydia and Seif, or the upstream/downstream discussion led by Vincent, or the intern show case lightning talks. One of the highlights of the conference was the panel discussion about copyright assignment. It's a complex topic, but the panelists brought up good arguments and lot of food for thought. Mark spoiled his argumentation a bit at the end by introducing his generosity concept. This certainly has its place when talking about motivation in a community, but in the context of legal agreements with companies it's very questionable, if generosity should be a dominant concept. 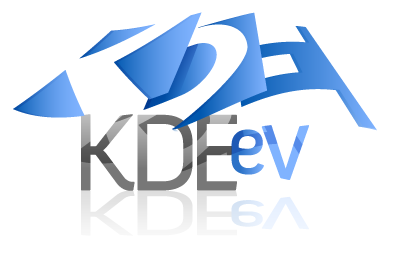 My takeaway from the panel and some other discussions I had at the summit is that KDE e.V. is in a very good position here with the Fiduciary License Agreement, we optionally provide for KDE contributors. This provides a good balance of the different interests and adds safety for contributors and community. The other big thing at the desktop summit was the general assembly of KDE e.V. It was a very focused and organized session. Mirko led it in record time. Lydia was elected as new board member replacing Adriaan, and I was reelected for my third term. In the afternoon we had a good BoF session about KDE e.V. questions, and we had a very good discussion about how to involve more people in KDE e.V. work. There is a lot to do, which is very important to be able to sustain the support for the community, expanding the individual supporting membership program, managing relations to existing and new corporate partners, maintaining our trademarks, keeping up and improving our infrastructure for sprints, membership, and KDE e.V. work, the next Akademy, and much more. We will do a KDE e.V. sprint later this year to get some work done on these topics, and to involve more people beyond the members of the board. The last part of the desktop summit was the workshop week. It was packed. It felt more busy to me than at any previous event. There was a lot going on. The experiment with showing all KDE sprints of the last year in one hour worked well. We had 21 lightning talks and it was impressive to see, what happened there, how many people spend their passion and skills on these focused events. It can't be underestimated how much energy they put into the community, and how much things get done or triggered when you put a bunch of KDE people in the same room for a long weekend. For next year, I'll try to put this kind of session into the main conference program, as it really deserves to be shown to a big audience. Another nice trend from the sprints became more visible. Several people used Kanban as a method to organize, visualize, and track the work done at sprints. Kevin introduced it a while ago, and the feedback to that is very positive. It's a low tech method of managing the activities at a sprint by basically putting sticky notes on a wall. By providing some simple rules for the flow of these sticky notes through the different stages of work being done, and applying constraints to how much work is going on in parallel, it's possible to maintain some good flow. Things get done quicker and it's easier to adapt to new things coming up. I think Kanban works best for the longer sprints, where you have more than just two short days on a weekend, but it's certainly worth experimenting with it as it's designed to adapt to different needs by modifying the rules and constraints as needed. Finally I noticed two trends, which I really welcome. First is that there seems to be a growing interest in usability and design. We had design keynotes. It was said in many talks that people were looking for more involvement with designers. Technologies like QML provide new ways to involve designers and design thinking. There were usability BoFs and lots of discussion about how to better address users's needs. The second trend is that there seems to actually emerge a convincing story for KDE on devices beyond the desktop. Plasma Active is spearheading this, and many people are able to contribute there now with the ExoPCs Intel gave out for development. It could be called a mobile story, but it's more than that, because many of the concepts work on desktops as well, so it's rather about addressing the spectrum of devices we are talking about for quite a while now. This goes well with the first trend about focusing more on design, as we are exploring areas, where there don't exist many strict concepts about how to do things, and it could be seen as closer to the user as some of the other areas we are active in. Lot's of interesting stuff is happening here. I'm looking forward to what we will be able to come up with in the next future. Last but not least I was really impressed by the work of the volunteer team. They did an amazing job in making the event run very smoothly. This, together with a great venue and the support of the university, the city, and all the sponsors, provided the perfect environment for the community to have a productive and enjoyable time. The volunteer team also showed how much we can reach, when KDE and GNOME people are working together. It sets a high bar for future events. Thanks a lot to everybody involved. On Wednesday we'll do the experiment to present all KDE sprints which happened within the last year in one hour. We have speakers lined up, slides prepared, and just need you to come and listen. The session is happening on Wednesday, August 10th, at 10am in room 1.205 here at the desktop summit. See the workshop program for more details. We had such a great set of no less than 21 sprints over the last year. So it will be exciting and fun to see a compressed version of that in one go. I'm looking forward to see you at the session on Wednesday. It's only one day left until the global KDE and GNOME communities meet at Berlin for the second desktop summit. Hundreds of free software contributors from all over the world, the core of the free desktop community is meeting at the Humboldt-Universität zu Berlin in the middle of the German capital from August 6th to 12th. It's those people who create the software, which millions and millions of users see, feel, and use every day, on the desktop and beyond, who make great technology accessible to everybody. Many of you participate in this effort, and by doing this with free software we are providing nothing less than one of the building blocks of free society. Getting all the creative minds, the people with passion for beautiful, elegant, powerful, amazing software, together at one event, that's remarkable, and I'm looking forward to what we'll breed at Berlin, what ideas, collaborations, what code will emerge. For me one of the most important parts of the desktop summit will be the general assembly of KDE e.V. Without KDE e.V. events like this wouldn't be possible. It provides the organizational foundation, which is necessary to run a community on the scale KDE has reached. The general assembly is the annual check point, where we report and reflect on the state of the organization, and decide about its future direction. As a member of the board it's my duty and my honor to report on what we have achieved. This year is a bit special as we'll have elections for two of the five board positions, and I'm running for my third term. While we have achieved a lot with KDE e.V. over the past years, we are still in a position, where we have the chance to achieve a lot more, for the KDE community, for free software, and, as already said, for a free society in general. To make some of this happen is one of the main goals I have for my third term. I need your support and your help for that, and I hope we can build an even stronger organization, where many of you join the effort of making the world a better place through our technology. The main part of the desktop summit of course is the conference. We have a great lineup of keynote speakers: Thomas Thwaite, Claire Rowloand, Dirk Hohndel, Stuart Javis, and Nick Richards.We have dozens of other presentations, which cover the whole spectrum of the free desktop, technology, community, from both, the KDE and GNOME communities, and related project. If you are interested in free software on the desktop and reaching beyond the desktop, there is no better place to be than Berlin next week. As a special highlight we have a panel about copyright assignment with Mark Shuttleworth, Michael Meeks, and Bradley Kuhn, moderated by Karen Sandler. This is going to be interesting. KDE has a clear position there with the fiduciary license agreement we created with the help of the FSFE, which preserves freedom, gives equal rights to contributors, and doesn't create any barrier of entry. The other big part of the desktop summit will be the workshops and BoF sessions, the less formal events, which take place towards end of the week. This is where people have time and opportunity to mingle, to collaborate, to exchange ideas, to discuss projects. I'm running an experiment there, the attempt to cover a full year of KDE sprints in one hour. We'll have a series of lightning talks giving an impression of what happened at the 21 sprints we had since Akademy a year ago. I'm also looking forward to discuss and finalize the recommended KDE git workflow we came up with at the sprint in Randa in June. Finally I also intend to move forward with the idea of a Qt library archive, which also originated at Randa, and which we discussed in more detail at the Qt contributors' summit. 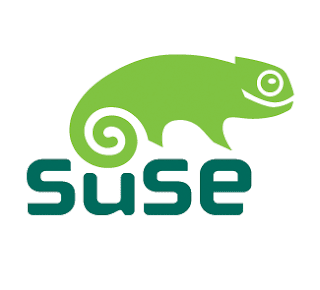 As always I'm also carrying the hat of my employer, SUSE. openSUSE is a great distribution to run both KDE and GNOME, and SUSE Studio, my main project at SUSE, also can be useful in the context of the desktop communities in various ways. If you are interested in any of that, would like to discuss it, or need help getting something done, don't hesitate to talk to me. Tomorrow I'll board a train and go to Berlin to dive into this special sphere of the free software community again. It's my ninth of the big annual events organized by KDE, be it Kastle, Akademy, or the Desktop Summit. I can't wait to meet all the old and new friends who make up this wonderful community.